Chamomile tea is made from the chamomile flower. It has numerous health, beauty and medicinal benefits. It has a strong taste and aroma and cures a number of ailments of all kinds. The tea has a great taste with a fruity flavor. Regular consumption keeps you healthy from inside and beautiful from the outside. Read on to know how good it is for your skin, hair and health. Chamomile heals your skin, works as an anti-oxidant, cleanses and moisturizes your skin. It treats your skin completely. Wounds are healed quickly and disinfected by using chamomile tea. It has good healing properties. Chamomile tea works as excellent and natural bleach. Your skin complexion is lightened and it gets a healthy glow. Chamomile tea soothes all kinds of irritations on your skin and treats sunburns. 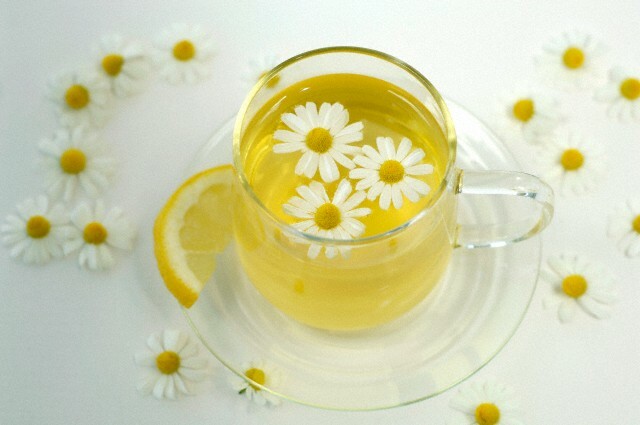 Chamomile tea contains lots of anti-oxidants, which are great for treating acne and breakouts. They fight against acne scars and eliminate them too. Free radical damage is what causes your skin to age and creates signs of ageing on your skin. Chamomile tea fights and protects your skin from damage due to free radicals and keeps you looking young. Chamomile tea is an excellent treatment for under eye dark circles. Cool down some chamomile tea bags and place them under your eyes. The dark circles and puffiness of the eyes are reduced. It also offers a soothing effect to your eyes. You could use chamomile tea as a face and body scrub. Blend it with powdered milk and use it as a scrub. It removes dead skin cells and leaves your skin fresh and clean. The new cells are revealed to give your skin a beautiful look. Consumption of chamomile tea regularly offers nourishment and moisture to your skin. It can be included in any of the homemade beauty treatments for getting all benefits. 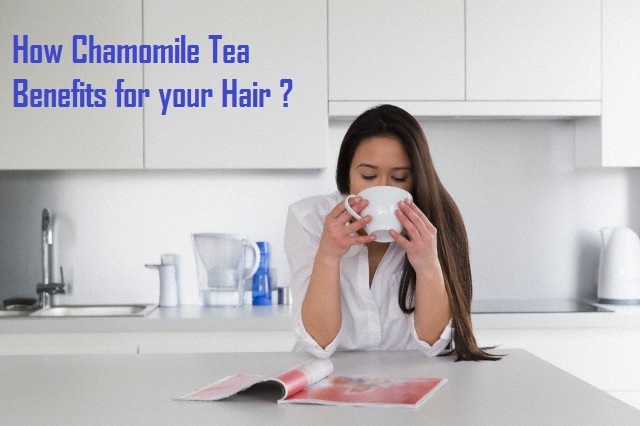 If your hair is blonde, you can easily brighten up the hair in an instant by using chamomile tea. You could sue with henna for dark hair. Chamomile tea lightens your hair. After washing your hair, use it for the last rinse. Your hair gets a bright golden touch. Regular treatment makes your hair color lighter. Chamomile is excellent for treating dandruff and related problems. It prevents and also cures dandruff. Moreover, you also get relief from itchy and dry scalp. Chamomile tea helps relax your muscles. The muscles of the uterus are relaxed to give you relief from menstrual cramps. Glycine is what reduces spasms of the muscles, and this is increased when you have chamomile tea. In proper amounts, chamomile tea offers great relief from cramps during your menstrual period. Too much of this tea could cause an upset stomach. Chamomile tea acts as a good stress reliever after a tired day due to its relaxing properties. Chamomile tea soothes ulcers in the stomach. You could take it regularly to get relief from the pain. For people who have undergone surgery for removing stones in the stomach, regular consumption of chamomile tea helps to prevent re-formation of these stones. Consult your doctor before trying out this medication. Chamomile tea helps boost your immunity. It has anti-bacterial properties that fight against bacteria and help cure cough and cold. You get quick relief from these problems. Chamomile tea helps control the symptoms of diabetes. It maintains the levels of glucose in the blood and keeps problems away. Chamomile tea helps to treat dark circles and problems due to sunken eyes. For this, pack the tea in small packets or make ice cubes with it and place it on your eyes. You could apply cooled chamomile tea to treat hemorrhoids. Application of the tea gives you a soothing feeling and relieves you. 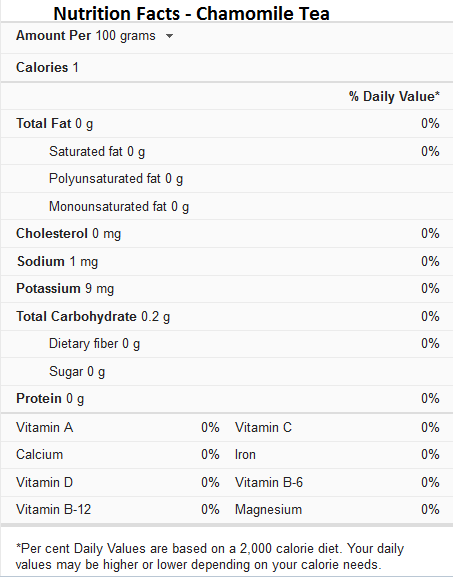 Chamomile tea is really good for your stomach. It prevents gas troubles by reducing the formation of gas. It relieves you from heartburns and irregular bowels. Metabolism is made regular and your stomach is made clean. Chamomile tea is great for rashes and allergies. Take a cotton ball and dip it in cool chamomile tea. Apply this on the rashes that are formed on your back in the summers. It cools them down and gives you instant relief. Consume the day regularly to prevent allergies and get rid of their symptoms. It soothes down your body and cools your system. Chamomile tea is really good for people suffering from migraines. If you consume the tea regularly, it prevents migraine and gives you comfort. Chamomile tea acts as a good sedative. Those who consume chamomile tea regularly get good sleep. It helps those suffering from troubled or disturbed sleep and other sleep disorders. Choose those flowers which have the flower head. You get most benefits from such flowers. You get them at any herbal store or grocery. Preparing the chamomile tea yourself is better than getting any readymade ones or ready to make products. The tea can be kept in an airtight container in some dry place. Make sure not to keep it under direct sunlight. Brewing chamomile tea is really simple and easy. Take a pot, warm it, and add a few slices of apple and mash it completely. Wash and keep aside some chamomile flowers beforehand. Add these flowers in to the pot and pour hot boiling water in to it. Close the pot with a lid and leave it aside for some time for steeping. After a few minutes, strain the tea. You could add lemon juice or honey for a better taste if you wish. Take this tea about an hour before sleeping at night. It gives you a good sleep and also offers numerous health benefits. Note that if you’ve already faced allergic reactions with other plants of this same family like marigold, ragweed, chrysanthemum, daisy and aster, chamomile can cause grave allergic reactions (including anaphylaxis) on certain kind of people who need to refrain themselves in consuming it. If you suffering from bleeding disorders or some blood thinners avoid chamomile, as it may increase your chances of bleeding. Hi ,very good information ,like,pleas give me resource of this article.